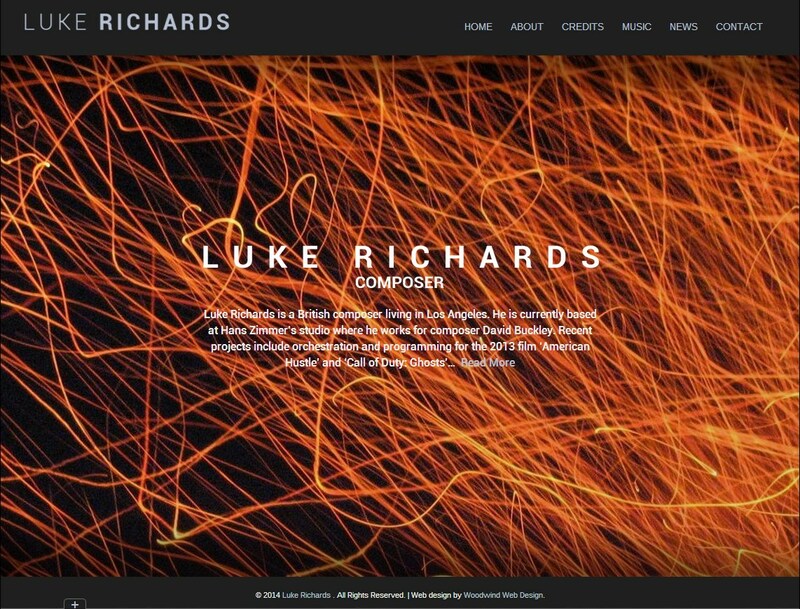 Luke Richard’s website uses a continuous full-width audio player which allows music to play while a visitor browses his site. The dark slate background for his credits and news pages really make the poster images pop out. On his music page, I arranged the tracks in a grid format for the visitor to see all of his music samples. Also, the full-width audio player pops up at the bottom of the screen (on desktop) allowing the visitor to jump to different parts of a track or create a playlist from his music. 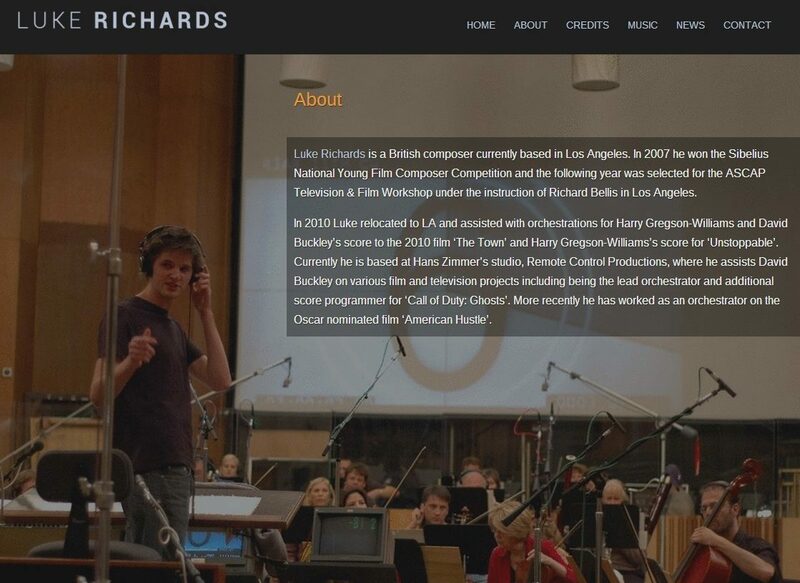 Luke Richards is a British composer based in London. 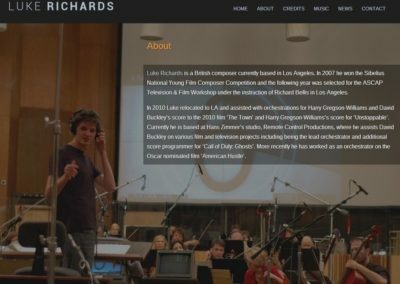 Recently he has contributed to the scores for the Oscar nominated film American Hustle, the Emmy winning TV show The Good Wife and the best-selling video game series, Call of Duty. 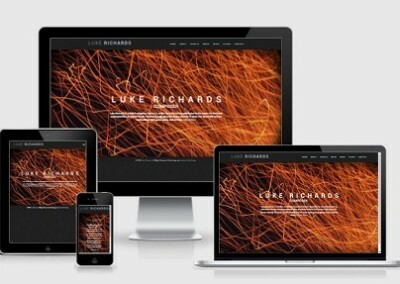 Luke has also kept busy with solo projects both in the US and UK. In 2014 his music for Remembering the Fallen won Best Original Score at the Los Angeles Movie Awards. Most recently in 2015 Luke scored the feature film The Gettysburg Address starring Matthew Broderick, Oscar nominated actor David Strathairn and Michael C. Hall. 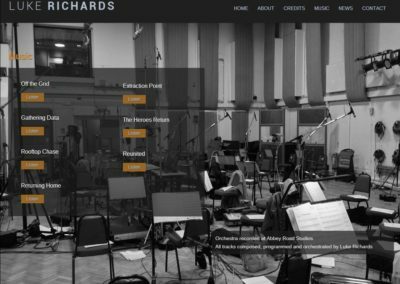 His music has been performed by both the Hollywood Studio Symphony and English Session Orchestras.